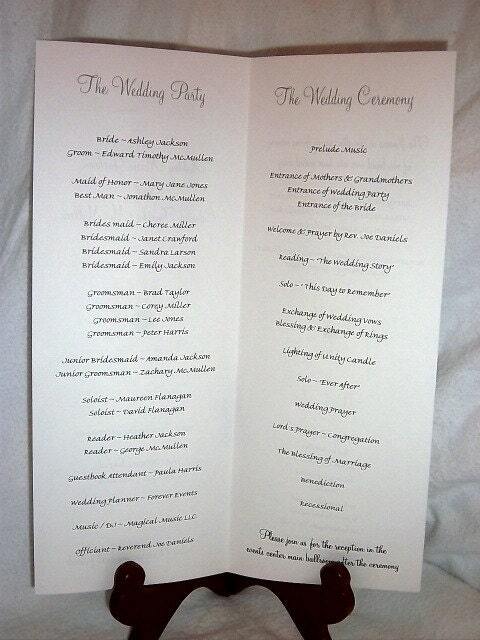 ~ Wedding Programs ~ only 35 cents each! Each program measures: 8 1/2” x 11” when fully opened. 11” long and 4 1/4” when folded. 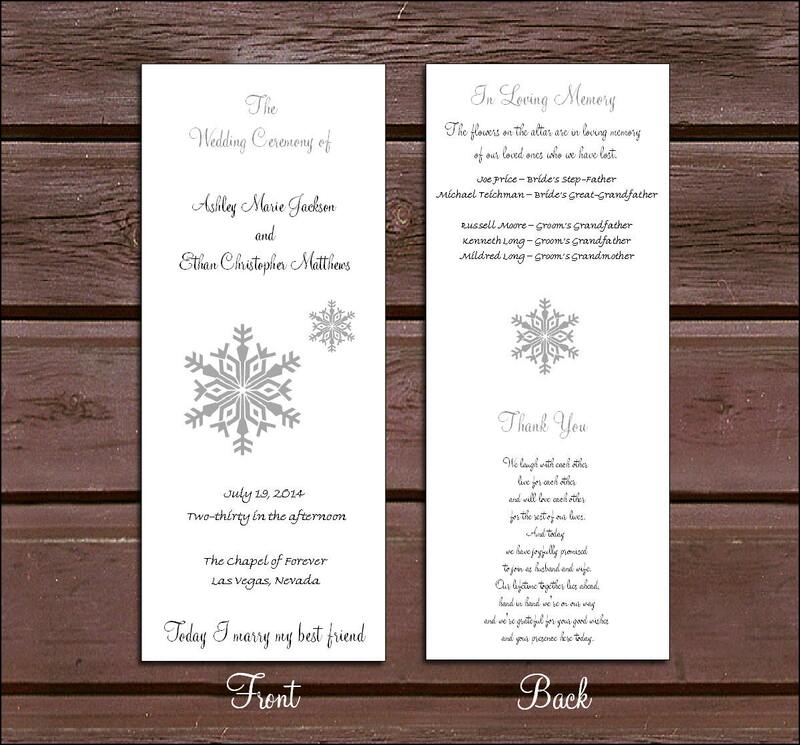 Printed on white or ivory textured stationery. How to submit your wording: You can either put your wording in the comment section of the payment or you can email it to me to my email address the is provided in your purchase confirmation. The programs can have any wording you would like so please submit your wording with the wording you would like. Need more or less than 100? Just message me and I can create a custom listing for the amount that you need. These are only 35 cents each!